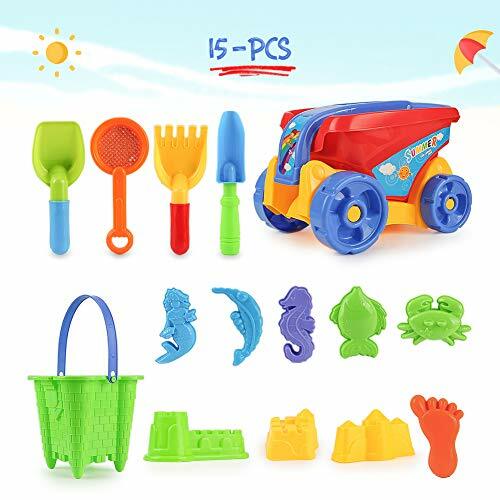 Beach Set Toys:Toy car ×1, bucket ×1,a sand sifter ×1,rake ×1,shovel ×2,castle molds ×3,fish ×1,crab ×1,shrimp ×1,seahorse ×1,mermaid ×1,foot ×1. 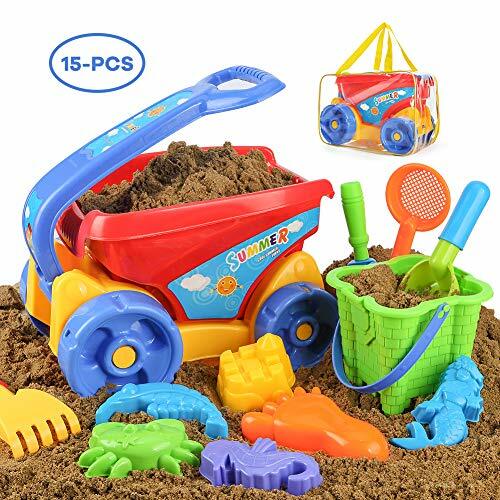 Features:Comes with a handbag to easy to store the toys and carry with. 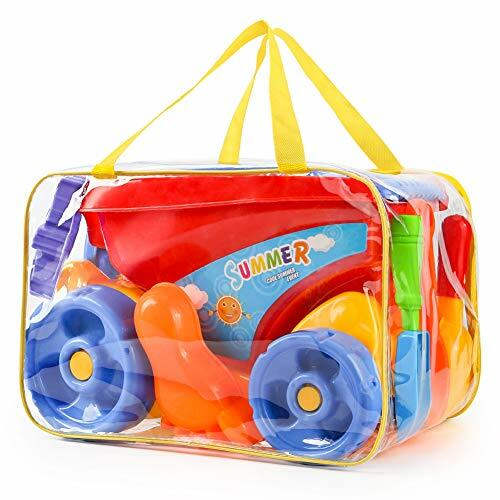 High quality: environmentally friendly plastic, sturdy and durable, non-toxic and harmless, colorful and diversified. 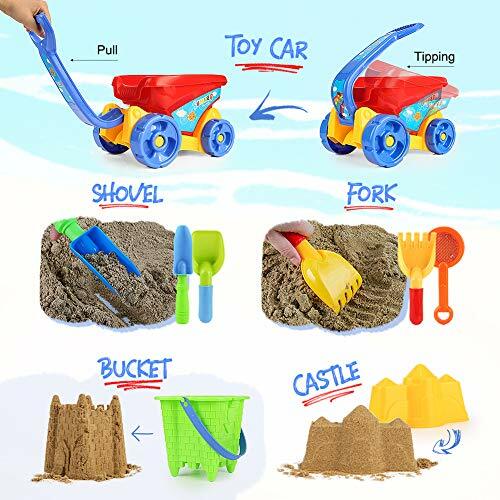 a safe toy set for kids to play. 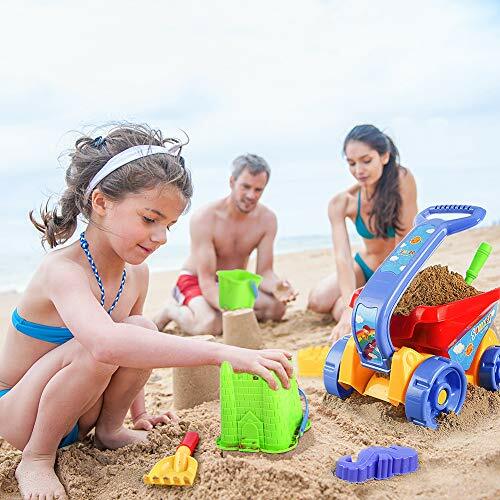 Totally fun: Suitable for creative games,use your various beach molds and castle building kits to build your own castle,develop your child's imagination and creativity.for children to enjoy hours of fun and creativity. 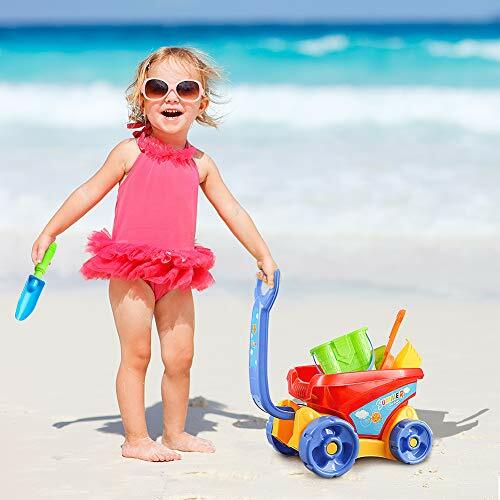 Ideal for use in beaches, sandboxes, parks, courtyards or gardens. Warranty:100% satisfaction guarantee! 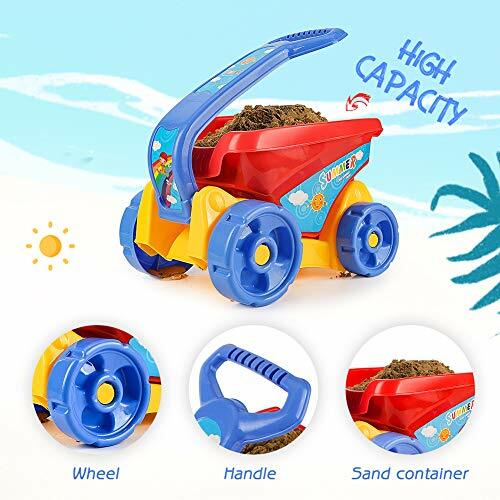 Each product comes with a three-month warranty.If you have any question regarding the products, please let us know.we'll be happy to assist you.